Followed by a reception in the UCL History of Art department, 20/21 Gordon Square. 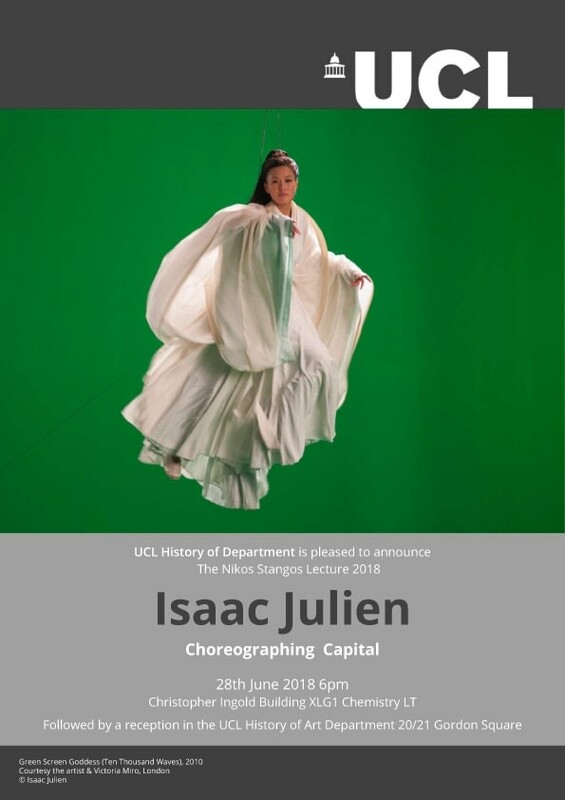 Isaac Julien will deliver the annual Nikos Stangos Lecture, established in memory of Nikos Stangos who was one of the directors and senior commissioning editors for Thames and Hudson publishers. He was probably the most important art editor of the late 20th century and was responsible for facilitating some of the most ground breaking art books of our generation. Nikos was a published poet and started his career in London as a poetry editor for Penguin. He was a philosophy graduate from Harvard and collector and commentator on contemporary art. He died in 2003.